When we use the term 'biomechanical functionality', we are talking about the quality of movement of the human structure and how well it is able to serve the purpose required of it. For mobility, a person requires their body to have strength, balance and flexibility. The loss of any one of these qualities will restrict a person's ability to be mobile without assistance and, therefore, it will restrict their independence. One of the things we want to offer at this website is inspiration. If you are willing to invest your resources into your health and wellbeing, there is so much that you can do and achieve, even in your later years. Over the weeks and months, we will post more great examples of high level biomechanical functionality. Surfing is a great example of strength balance and flexibility working in harmony. 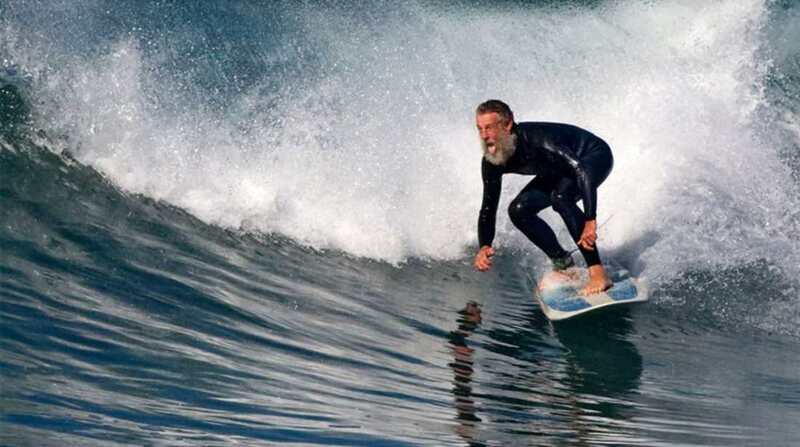 Click the image below to read an article about surfing in your old age. If you're thinking "I'm too old to start! ", then scroll down to the bottom of the article and click the link entitled 'So, is there an age limit to become a surfer?